The Marauder name was first used on an engine option package for Mercury Montclair and Colony Park models in the late '50s. The Marauder later became an option package for the full sized Monterey, Montclair, and Park Lane and it was the car (in fastback form) that Mercury used for NASCAR racing. 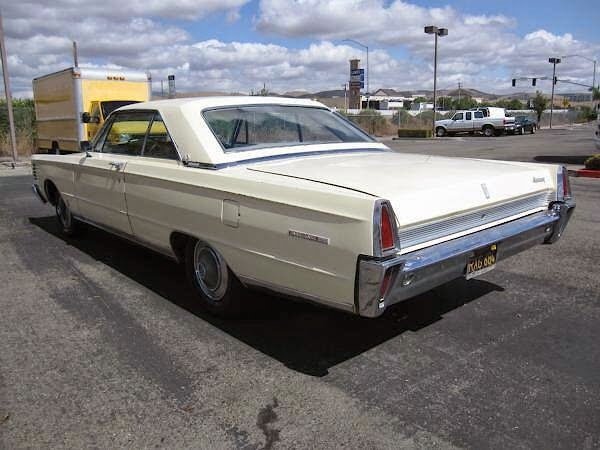 The street version was equipped with big block engines, bucket seats and a center console. 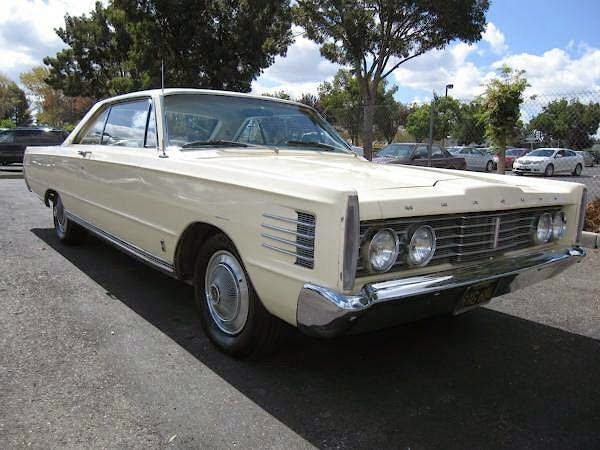 Find this 1965 Mercury Marauder Park Lane offered here on craigslist for $4,900 via craigslist located in Dublin, CA. Tip from FuelTruck. This Marauder comes from an era when buyers wanted performance from their full sized body-on-frame luxury cars. That performance didn't come from turbochargers or electronic gizmos - it came from displacement, which in this case was the smallest V8 available. This is Ford's 390 FE V8, a 6.4 liter V8 rated a 265 horsepower with the 2-bbl carburetor or as much as 320 hp with some 4bbl applications. 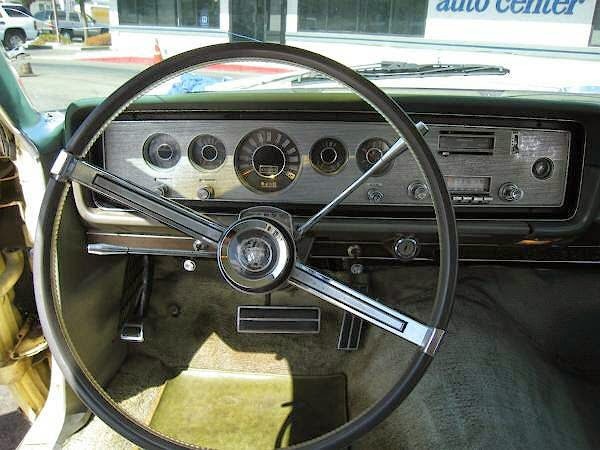 In this Marauder you will appreciate the wall of torque that appears just off idle. For $5k you aren't going to get a classic muscle car with a perfect interior, and this one has more of a beater/driver condition interior. The three speed auto isn't the sportiest transmission available, but it will be great for cruising. This seems like a tremendous amount of muscle classic for the money. Buy it, cruise and show it for a couple of years, and sell it on. Odds are you'll likely make money in the deal, or at least break even. I don't know why these marauders are such great cars, but they just Arrrrrrrrrrrrrrrrrrrr ! 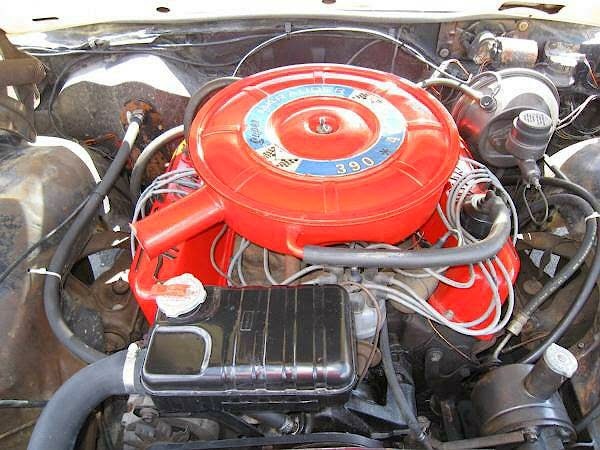 Does anyone know if there are any engine swaps that would be easy for a vehicle like this to something more modern and maybe a little easier to find parts for? Or maybe a book or website that gives details on engine swaps for beginners? Google has failed me far too many times.